By buying a new computer, you ensure that your new system has the potential for more space, faster processing speeds and better organization along with an unparalleled efficiency that supports all these superior features. For a complete satisfaction in data transfer, you would want to move all or at least a part of the data from your previous computer. When you buy a new computer, you start with a clean slate, which is great, but you know there is essential and important data on your previous workstation that you would like on your new computer without any compromise. Copying the files is an easy task, but what options are available to you for performing such a transfer? The ghosting of a computer is a process where the hard drive is read completely and then an image (a file) is made of the drive so you can take the image and apply it to another drive. For personal use, it is always the most preferred option to just copy data onto an external hard drive but in big organizations with millions of bytes of data on the central drive, ghosting a computer works perfectly. If a certain set of employees require the same kind of applications and software that adhere to their department, you can simply take the image and push it into their PCs. You don’t even need to apply the image 5 times, instead it just applies that one image to all five machines. The only drawback to this process is that it takes a while to create the image file and you still need an external storage to put the image while its being created. Still the most evergreen option for personal data to sync to your new computer. Time remains the constraint in this case. In a situation where the data to be transferred from your old computer to your new computer is stored on a separate hard drive or in the rare occurrence of your operating system failure, you can always remove the hard drive from your computer and attach it to the new computer and access it. The current word on the street is uploading everything to the cloud. With the use of cloud, data transfer isn’t just easy but the access is devoid of geography. The problem with this is a compulsory internet connection and for additional space, you need to pay. With the start of a new slate, it is helpful to spend some time to reorganize and purge the files you might need from your previous computer, before you jump to the new one. If you find files that you might not need so frequently, archive them. If the space during any state of transfer is a concern, compress them using softwares like Winzip. You should figure out what is the best option for you to access your files. You should avoid burning data to CDs, since computers lack readers nowadays. Instead, reliability on USB and Cloud storages won’t disappoint you. So what is it that you should transfer to your new computer? These folders are no brainers and don’t cause any trouble during the transfer of data. If you are internet savvy or have at least been using it on your previous PC for a considerable amount of time, you might need to your bookmarks from web browsers since they might have a lot of important references you might need. If you are running applications on your computer, you need to make a copy of the data files and not the program files. The program files can be reinstalled by going through the application’s website. The program usually fails to run if all the application data from one PC to another. Go to Control Panel and open “Programs and Features” to view the installed applications. The foremost purpose of this list is to remind you if you need any other files from your PC which you might require on the new one. Now that you have taken all your personal and essential information onto your preferred mode of storage and you are ready to make the switch, there is still another important aspect that needs to be looked at. Before flushing the drives completely, create a backup. During the migration process, there might be a loss of data or the system might crash. 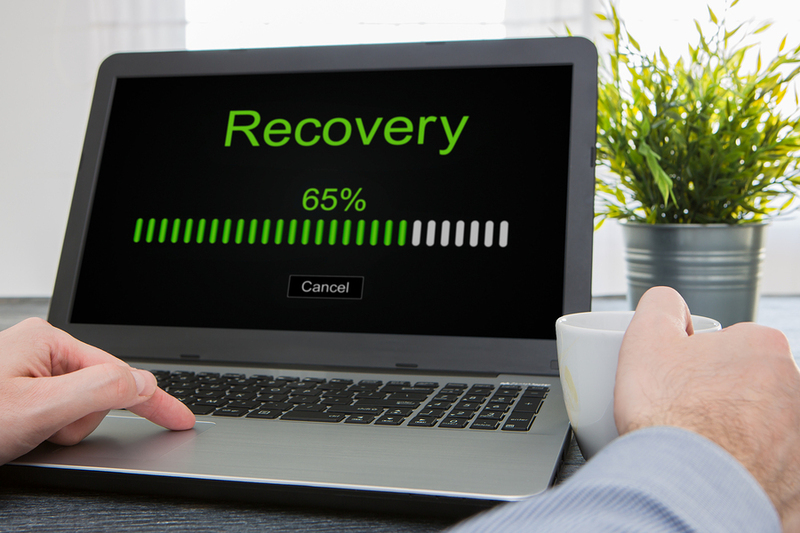 In such a situation, your backup can help get any important file back or even conduct a system restore in the event of a crash. Your new computer will most probably launch an integrated transfer wizard. Follow the steps that the wizard prompts to get most of the data copied to your new computer. If you are using an online backup option, it can be done with much more ease. The transfer of data can also be done with more advanced methods like the use of cables and third-party migration software. In common cases, people face the headache of remembering to install the small applications into their new computers. For them, a website called Ninite offers the option to create a checklist for yourself and runs the installation itself onto the new computer. Ninite also offers updating these softwares. This will insure that your device is well-protected from all kinds of bugs and vulnerabilities.